Disclaimer: I do not own any characters or images displayed on this site. The character of Éowyn and all other characters and quotes taken from the books are licensed to Tolkien Enterprises; all LOTR movie images and quotes are licensed to New Line Cinema. All other images and text are credited to the respectful owners and are posted with permission. Please do not reproduce any images or text without the owner's consent. If you see something on the site that belongs to you that has not been credited or is miscredited, please email me and let me know immediately so that I can change it. Thank you. 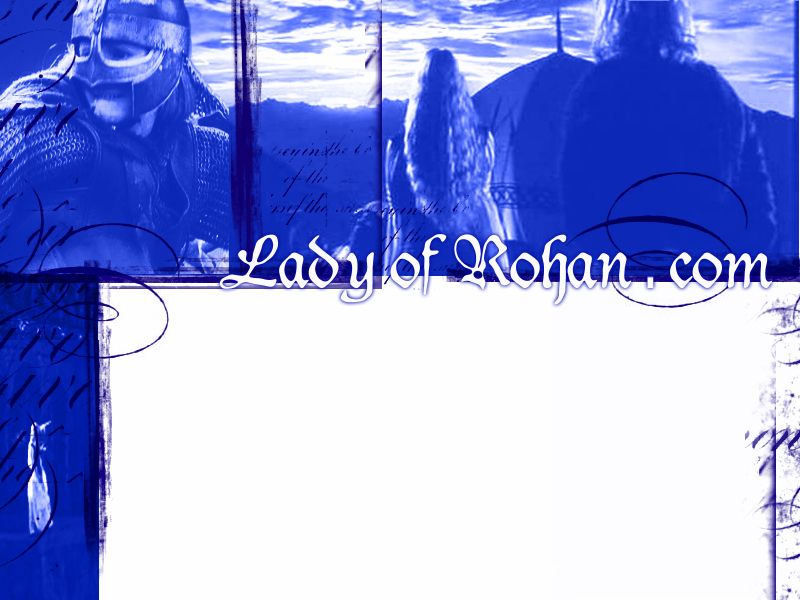 Please help keep Lady of Rohan going! This site was created in 2004 by "Tigerlily Gamgee". 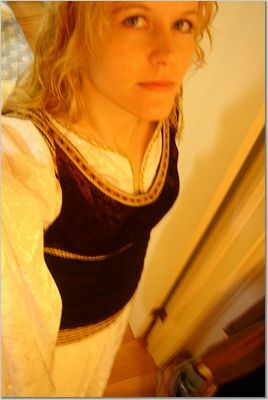 I built this site to honor the character, Éowyn, and to provide fans with as much Éowyn media and information as possible. Please enjoy your surfing through everything, but I beg of you to not hotlink to any images displayed on this site, and to not take any original artwork for posting on your own site without first asking permission from the artist. Also, to help preserve the bandwidth, please download large media files to your own computer for viewing. Thank you.